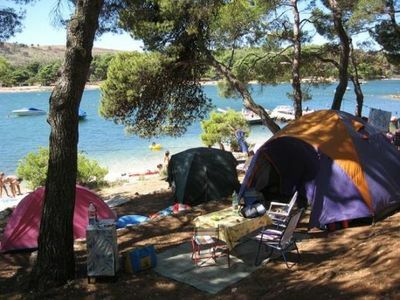 For a fun and affordable family holiday, nothing beats getting out into nature and camping. Here in Melbourne we're just a short drive from Australia's biggest mountains, spectacular beaches and rugged national parks - all perfect spots to pitch a tent and explore the wonders of the natural world. In your opinion, which are Melbourne's best family camping spots? What are their advantages and disadvantages? How long do you have to drive to reach them? Are there established caravan parks and camping grounds, or do you have to bush camp? Why are they popular with your family, and what do you do when you're camping there? The Mornington Peninsula is absolutely stunning with great beaches and facilities. It's also close to Melbourne. If you're heading further out, Wilsons Prom is another great location for the family. When I was a child we'd regularly go camping, and one of my favourite spots (although it's quite a few hours from Melbourne) was the Grampians. We'd stay at Hall's Gap, and I can still remember how charmed I was by the semi-tame wallabies that seemed to be everywhere. There are also many walking trails, some of which are suitable for even very little kids. I also loved it when we visited Phillip Island (children are captivated by the fairy penguins! ), and camped along the Great Ocean Road. I live on the Mornington Peninsula, so I don't find it as exciting as I imagine it would be for visitors, but I like the prom, and loved camping at Lorne when I was younger.